CORAL REEFS ARE DEFENDERS of WILDLIFE. Coral reefs have been in the news a lot lately because they are under threat from ocean acidification, climate change (and this summer’s nasty heat wave), overfishing, coastal development, and more. Many people don’t understand why coral reefs are so important, which is why we asked an expert to help explain why coral reefs are so important and what threats they are facing. We at GreenDustries care very much about the environment. 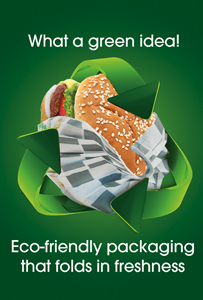 Our goal is to decries the level of garbage and pollution created by the Fast Food Industry packaging in the world, by replacing their very polluting boxes (it’s stay100’s of years in the landfills) and other form of package the burgers and fries that they are using until today, with our “ENVIRONMENT FRIENDLY “ PleatPak and Magic Bag. Why are coral reefs so important? Coral reefs are important for ocean health and human communities that live nearby. 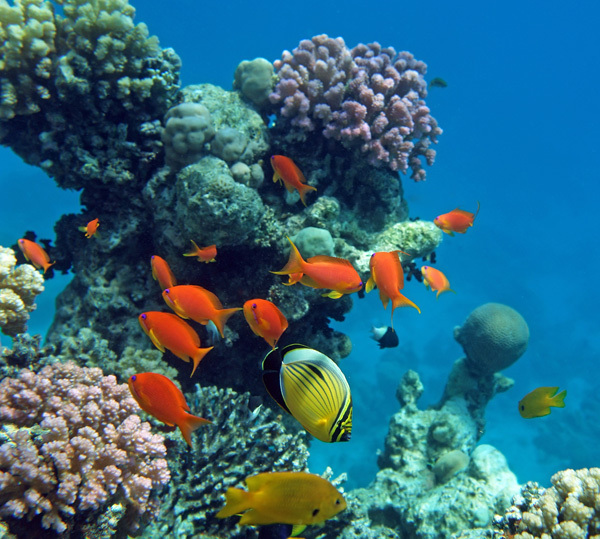 Coral reefs are home to 25 percent of the animals and plants that live in the ocean. They provide feeding grounds, nursery areas, living space, and places to hide from predators for an enormous assortment of fish and invertebrates like grouper and lobster. For humans, corals provide food and jobs, with more than 500 million people dependent on reefs for their primary source of protein. In places like the Caribbean, a key component of the economy is tourism, which depends heavily on healthy coral reef communities. Coral reefs also provide coastal protection by buffering wave energy and are also a source of countless medicines that are improving and saving lives every day. All coral reefs began life as single polyp – a tiny, soft marine animal like a small sea anemone – which attached to a hard surface. By now you must have heard words like “conservation”, “extinction” and “global warming” a thousand and one times – meaning they are often ignored. Conservationists have campaigned to inform the world about the severity of the damage being done to its ecosystems and in many cases humans are to blame. However, not all ecosystems are endangered and, in fact, in a lot of cases many species and populations are on the increase, evolving to suit a changing habitat. So what’s all the hassle about? Focusing on those Ecosystems most at risk. Not all environments are exposed and pressured by the same dangers, so why constantly try and grab readers’ attentions with the thousands of problems and threats that are arising across habitats? This only makes us feel like giving up if change is impossible, so instead we need to focus on the areas that are most at risk. Those areas that have suffered minor disturbance over a few decades will eventually recover, but more disrupted areas, such as the coral reefs and tropical rainforests, require our attention. Endangered Corals and Freshwater Organisms. Unfortunately, areas, which are home to the richest biodiversity often, suffer from the greatest amount of damage and disruption, with the coral reefs being one of them. Before looking into the damage caused to these ecosystems, let’s first concentrate on why the coral reefs are so special. Coral reefs are essential hot spots for locating beautiful diversity. Gliding rays, agile multi-coloured fish swimmers and scuttling mollusks are just a few examples of the wide range of animals that lives here. So why do these crystal blue waters flow with such magnificence? The answer can be found in the ecosystems efficient nutritional cycle. Many intricate food webs, including the various predators, have evolved, effectively keeping a perfect balance between its members. In order for this food chain to begin it has to start with a producer. Say hello to the coral’s symbiotic algae. Unfortunately the extensive food web that coral depends on is becoming broken and fragmented, due to various unethical fishing techniques that involve using dangerous compounds such as cyanide and dynamite. These stresses pollute the water, causing disruption to the life and nutrient cycle that this ecosystem depends on, inflicting negative consequences. Using these fishing method cracks coral heads apart and stresses nearby coral colonies so much that they expel their symbiotic algae. As a result, large sections of reefs can be destroyed causing disruption to the life and nutrient cycle that the ecosystem depends on. The death of zooxanthellae algae is becoming more apparent and frequent. This may not sound like such a big deal (considering our view of algae as a pest in ponds and lakes), but it has a knock on effect, which can knock out a key level of the coral ecosystem. 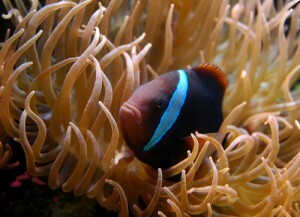 The alg ae are key biotic (living) factors that live in symbiosis with the coral. Being photosynthetic (using sunlight to power carbon fixation) means the coral is provided with an essential source of energy, which phytoplankton eats and pass on to different levels of fish and crustaceans. This algae is also responsible for composing the vast deep colors to the coral, making it an attractive site for thousands of species’ homes and breeding grounds. Dismantling this principal zooxanthellae algae causes ‘bleaching’ and the death of coral reefs throughout the ecosystem, stripping habitats and nutrition, which are imperative to the freshwater organisms that thrive there. 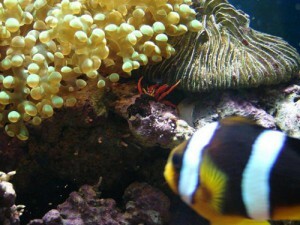 The rate of overfishing, and of over exploitation for commercial and recreational purposes, is on the increase due to a boost in the aquarium and jewelry trades. Taking these resources not only disrupts the food chain but careless divers trample and kills fragile corals. So how much of the coral reefs are we aware of already being affected? How much of the coral do you think has been lost? 10%? 30%? In fact the numbers of bleached and dead coral reefs is double that, with some 60% of Caribbean reefs being affected. Current estimates also show that 10% of all coral reefs are degraded beyond recovery and that 30% are in critical condition and could die within 10 to 20 years. Surely this should be a sign that we must protect the endangered coral we have left? It is important to protect the reefs we have today, because they can’t be replaced. Tiny animals called “coral” form reefs very slowly. Each animal is tinier than your pinky nail, and grows very slowly, only about 1 centimeter a year. 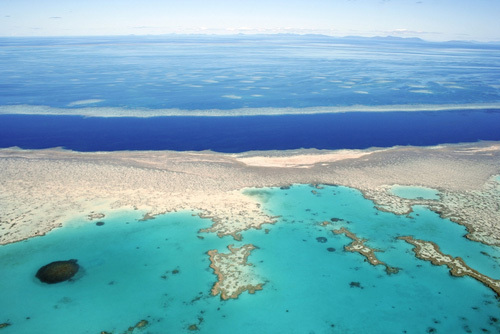 The reefs we have today were formed over 100s of thousands of years, and it would take just as long to grow back, if they grow back at all, Oil drilling and erosion from developing coasts near reefs are big problems. It is really important to remember that coral reefs are one of the first habitat types that are demonstrating a very visible response to the impacts of climate change. They won’t be the last; right now we have a chance to do something for the oceans and the world to reduce the impacts of climate change and ultimately limit the amount of change we experience. Corals are giving us a warning and we need to listen. The public needs to better understand the critically important role the oceans play for life on earth. The oceans actually make planet Earth habitable for humans by producing 50 percent of the oxygen we breathe! The oceans provide us with jobs, food, medicines, and more and more people are moving to coastal areas. We need healthy oceans and we need to understand that as large as it is, the ocean is not infinite. Now our job is to show people how they are connected to the oceans and then how what they do every day impacts the oceans. We need healthy oceans and what we are experiencing with coral reefs now is only the beginning if we don’t start making big changes in the way we live our lives and take care of the natural resources we depend on. As we continue to apply more strains across the world’s natural resources we should avoid forgetting that we as Homo sapiens are as much entwined and part of the animal world as any other species. Detaching ourselves from this outlook will only continue to inflict harm on the ecosystem. Let’s focus to help protect the future of the enchanting colors of the coral and its species. 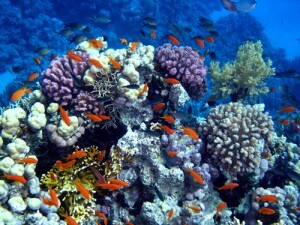 Coral reefs are beautiful places, and provide income from tourists to many otherwise poor countries around the world. Save the Arctic and Its Wildlife.